By LUDWIG VON KOOPA - Featuring a NEW ANNOUNCEMENT. Here we are with the first game-related live reaction log of 2016! It's a Nintendo Direct! ...Sort of not really. It's President Ishihara of The Pokémon Company. With a Ditto? Looks like The Pokémon Company is using Nintendo's outreach channels to talk about something important. We better listen and react to it. I'm Nintendork 13 13, and Vortexica joins too as the other dude. Due to... the timing, we don't exactly react at the same time. It's an interesting dynamic, for sure. 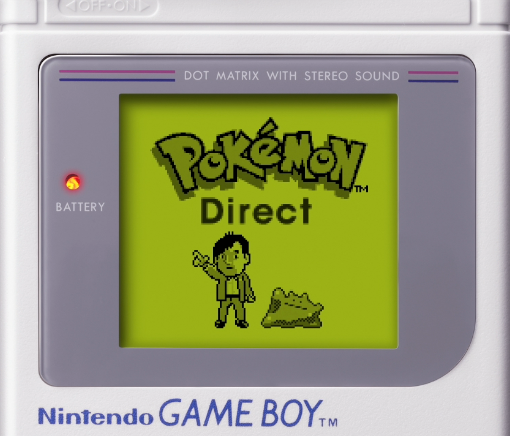 The Pokémon Direct is embedded below. (Just click more!) You can watch along with our reactions, but we kinda do it twice so I dunno. 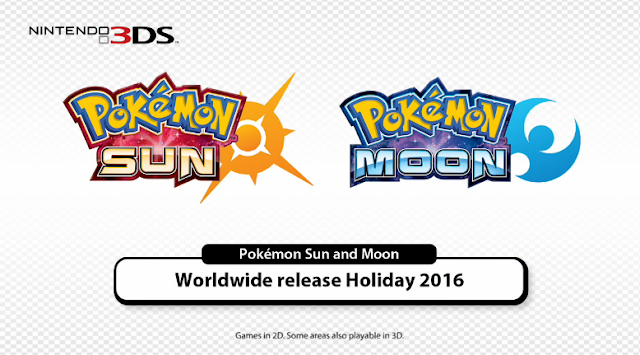 So apparently this thing already sort of leaked and everyone already knows about "Pokemon Sun and Moon" coming on 3DS. Did we know about this? Gengar fighting Nidorino, haven't seen that in a while. DIRECTLY, do do do do! Oh nostalgia, I was some of these kids, specifically the one playing his GB in bed late at night. I also like how they acknowledge in this that Pokemon is played by more than just little kids. 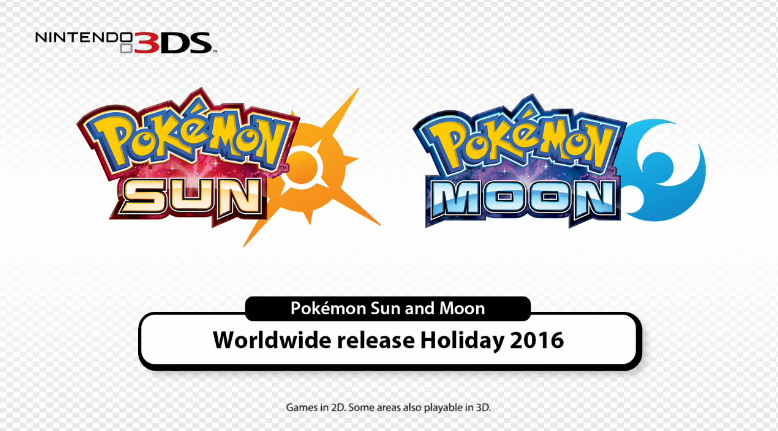 Sun and Moon releasing late this year. I hope they're completely original games (which the titles seem to indicate). and pretend it's 7 hours ago. It's a Pikachu play button Pokémon Direct! Cheap special effects for DIRECTLY. and everyone agrees Green/Blue are better. Progression from garbage RBY to 3D XY. Stock images of people playing their Game Boys. and converting that to people biking in-game. Earbuds weren't a thing back in 2000 with Pokémon Gold. All was well, for people used headphones. "In an all-new Pokémon adventure"
They're adding Traditional and Simplified Chinese to the language options "right when they begin playing the game"
"You played through the game in Simplified Chinese. Now try HARD MODE in TRADITIONAL CHINESE." They're talking about communication issues with Game Boy link cable. Pokémon RBY on Virtual Console use that Pokémon Bank thing and you can put them into Sun/Moon. ...Well, whatever. We don't know anything about Sun/Moon. Pokémon Sun and Pokémon Moon. Coming out Holiday 2016 worldwide. Games in 2D. Some areas also playable in 3D. In nine languages, and accessible with Pokémon Bank. That's all we know. And that was the main thing I wanted to know. Guess we'll wait until E3 or something. Or a random Pokémon Sunday episode. Where we have to sit through an hour of weirdo Japanese people doing weird skits. Which I would totally do by the way. I've done it multiple times and it's NEVER WORTH IT. I hope this does herald to start of a whole new generation (it probably does though). Well, since we already got the Pokémon Mystery Dungeon of Gen 6, there's nothing left for Gen 6 to do. Might as well move on. To be honest, there are some Pokémon that I don't remember if they're from Gen 5 or Gen 6. I still have problems differentiating between Gens 5 and 6. Not quite there yet. That's because Gen 5 was soooo short. We knew Pokémon Sun and Moon were trademarked in Europe. I don't really consider that a leak because that's a damn government agency talking, and that sort of unveiling is controllable. NOA didn't put out a tweet, but there is a tweet from NIntendo of America or one of that crap floating around social media confirming it. I just didn't want to comment on it because people trademark stuff and patent all the time and it doesn't work out. I see. That clears that up. If I were Nintendo, I would trademark a fake thing on purpose, have the government publish that publicly, and then screw everyone's minds when you reveal the real thing. Ludwig would like to note that KoopaTV can react to things and not be sued by anyone for doing so. Just putting that out there. What do you think of the announcement? Should KoopaTV have speculated on it before now? Remember Pokémon Bank? It was in a previous Pokémon-focused Direct, and Ludwig made a Jew joke in the reaction log. You want information about Pokémon Sun and Pokémon Moon? Here are the starters and more. To be clear, it'll be coming out November, not just Holiday 2016. The next Pokémon Direct is June 2017, featuring alternate stories of these games... Pokémon Ultra Sun and Pokémon Ultra Moon! The Pokémon Direct of February 2019 announcing Generation 8 was quite a bit better. ...What exactly in Singapore is inspirational? Though, I meant, is there anything about Singapore in particular that could clue us in on what direction the game's region may take? Like, Unova being based on the United States told us there would be a lot of dark-skinned people and massive cities. The Twin Towers are... erm... were in New York. So it's super sunny AND super rainy? Sounds like it should've been in Ruby/Sapphire! Yo, what's the best way to contact you and give you Cloud DLC? I'm disappointed that there is no confirmation of a Detective Pikachu localization. Main games have lately been meh for me. So you don't actually want Gen 6 over until Detective Pikavchu comes over? I don't care either way. I just want Detective Pikachu localized because of an Ace Attorney X Detective Pikachu crossover game does happen there will be a higher chance of it being localized. Also Detetive Pikachu on its own deserves to be localized for the talking Pikachu with a gruff voice alone. ...The crossover hope is pretty absurd though. There's a higher chance of Phoenix Wright being playable in Super Smash Bros. but we both know that never happened!